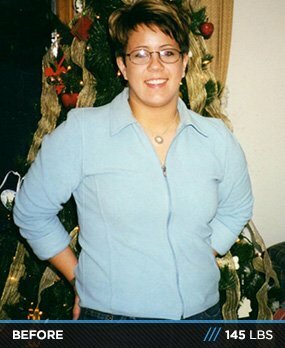 Celiac disease held Bethany’s goals hostage for decades. At age 28, she diagnosed the problem, alleviated the symptoms with a gluten-free diet, and burst into fitness and hip-hop! Hip hop dance and performance has been in my blood since I can remember. I danced throughout middle and high school, but was never considered fit or thin. I was a strong and "curvy" dancer. In my 20s, I auditioned for several professional dance teams and advanced to tryouts, but never made it because I wasn't in shape. By age 28, I overcame three years of a chronic pain and was diagnosed with celiac disease. My body reacted to gluten and wheat and it had a horrible effect on my overall heath. Within two weeks of eliminating gluten from my diet, I was a new person. My new life came with a fresh understanding of what it means to eat clean. Performing a fitness routine as a competitor was my chance to fulfill a dream and have my "rock star" moment. I want be a strong example of a healthy life, especially to young girls who can adapt to this lifestyle much earlier than I did. I discovered my gluten allergy during the Master Cleanse, which helped my body reset from prolonged sickness. I dropped 10 pounds with the cleanse in 10 days. When I started training for my first competition, I had 15 percent body fat and hired a personal trainer and nutrition coach to guide my journey. When I was 13 weeks out from the show, I started carb-cycling, trained five days per week, and documented my steps. I built new lean muscle and whittled down to a size my body had never been before. I was about nine percent body fat on stage and won the beginner figure overall title at the natural show. Performing my fitness routine was icing on the cake and I experienced my first "rock star" moment. It took a complete mind-shift to prove to myself that I can accomplish my dreams with hard work and dedication. Fitness and competing blessed me with a new life, new friends, and amazing new opportunities. I love that my journey continues to influence and inspire others to take care of themselves and follow their dreams too. I plan to compete as long as I can. There's no better rush than strutting your hard work on stage and trying to reach a new level each time. I want to be a strong example of a healthy life, especially to young girls who can adapt to this lifestyle much earlier than I. I'd love the opportunity to be the face for a health and fitness brand that could elevate my platform and story. Take it one step and day at a time. Don't be overwhelmed and don't go too extreme with your diet, supplements, or training. Allow yourself treats and vices. Constant deprivation will eventually make you crash or binge. Fitness should be fun and enjoyable even if it's hard work. Bodybuilding.com has been an excellent resource and motivational tool as I venture in my fitness journey. I loved reading articles from athletes who inspire me. When I was in a training rut, I visited the site for new exercises and supplement ideas.